Real Techniques are one of those brands that are easily accessible on the high street nowadays, either from Boots or Superdrug. I tend to see which has the better offers like 3-4-2, though I definitely favour Boots. I've amassed quite the collection of Real Techniques brushes now, due to their great price point and how ridiculously soft they are. 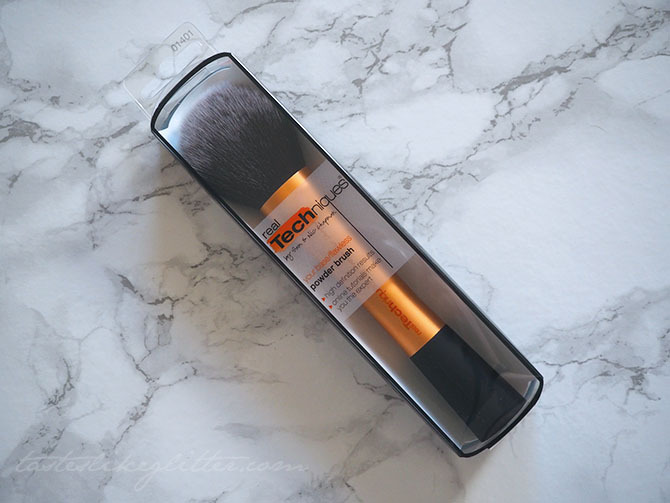 Today I have the newest addition to my collection, the Real Techniques Powder Brush*. 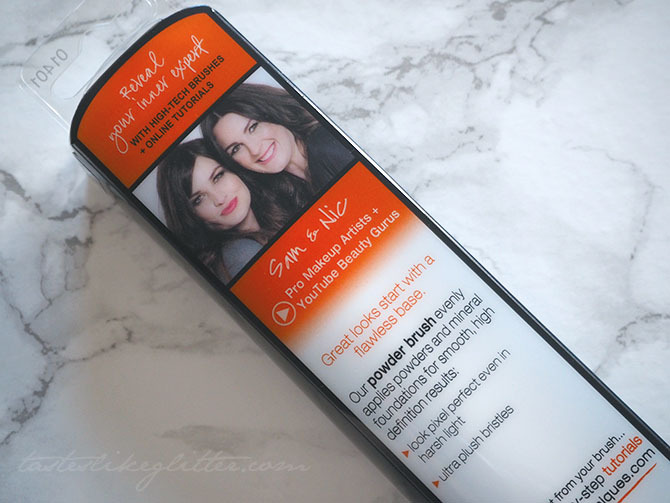 The brush comes with a large, plush head that's packed full of synthetic bristles. They are super soft, whilst they aren't Hakuhodu soft they are for their drugstore price point. The bristles don't hold a build up of product and are easy to clean. 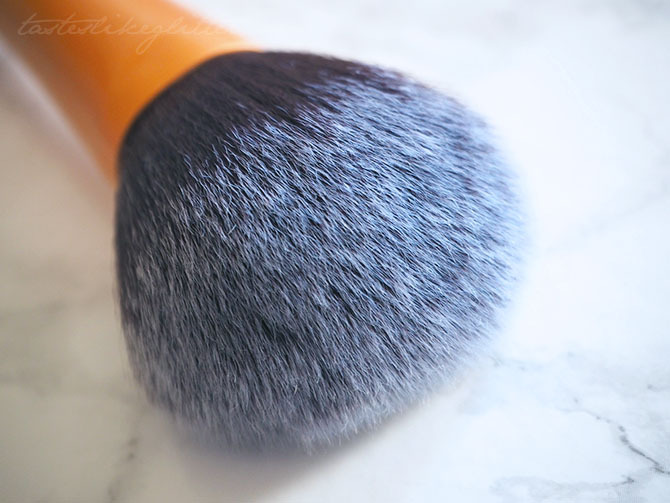 The brush seems to pick up just the right amount of powder, giving a sheer finish without being cakey. It can be used for powder and mineral foundations along with finising powders. It's not the most exciting or innonative brush but it's one I've used daily to set my makeup and I couldn't be without it now. 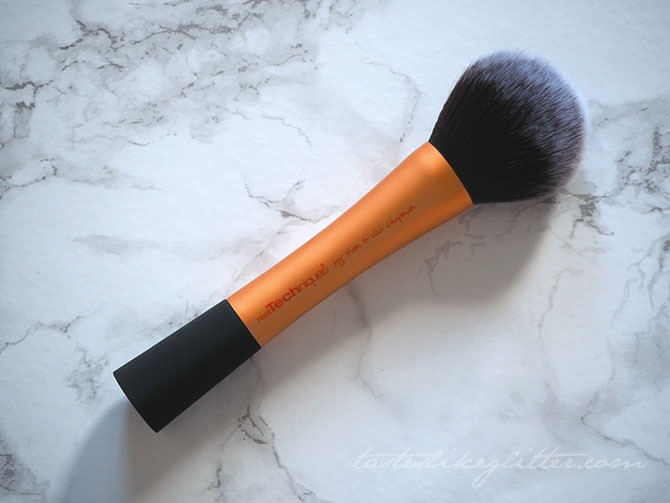 If you're in the market for a new powder brush I can highly suggest this.